As the hundredth anniversary of the end of World War 1 fast approaches, sadly, the world faces many of the same problems in 2018 than in did back in 1918. Still parts of the world are at war, while famine and poverty are rife in a society that is still divided between the haves and the have-nots. Proof of that is America, where five percent of the population are thought to control ninety-five percent of the wealth. As a result, the gap between rich and poor widens with every year. This is having a huge effect on people’s lives not just in America, but across the world. Many people are in agreement that something has to be done, but everyone has a different solution to the problems facing the world. This includes one of the greatest female vocalists of her generation Tina Turner, who lent her voice to Awakening Beyond, which is the fourth and latest album by Beyond, a project that was founded by Regula and Beat Curti in Switzerland in 2007. 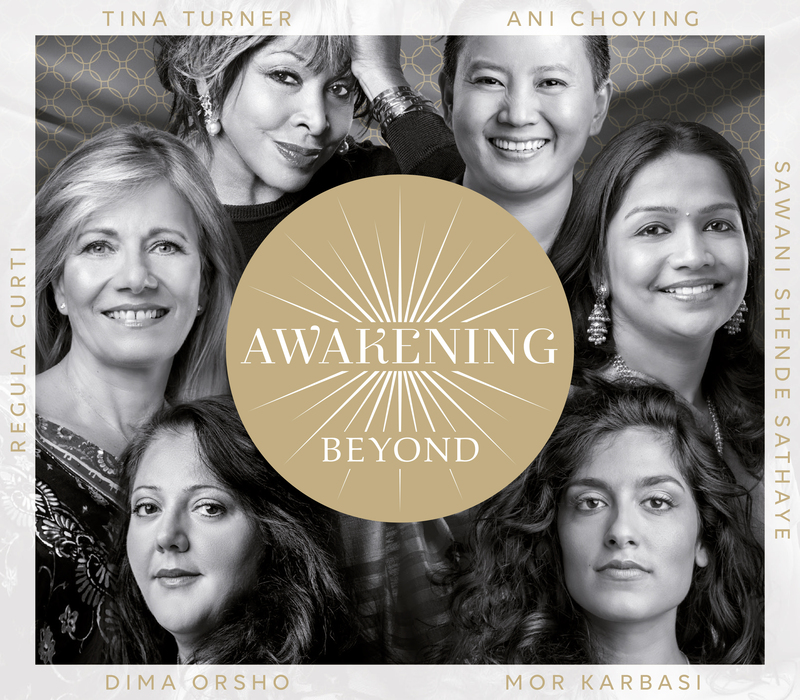 Nine years later, and Tina Tuner was one of six women from very different backgrounds, who traveled from America, India, Israel, Nepal, Switzerland and Syria, to Abbey Road Studio in London in 2016, to record Awakening Beyond. When Beyond released Awakening Beyond in late 2017, this was just the latest chapter in a story that began ten years ago in Switzerland. That was where Swiss vocalist and cofounder of the Beyond, Regula Curti had a life-changing experience as she watched the sun rise her home in Switzerland. This was something she did every day in life. However, this day was different, as suddenly, Regula Curti felt at peace with the world. It was as if she had been experienced a glimpse of enlightenment, as she watched the sun rise whilst experiencing an intense sense of presence. Regula Curti was happy to be alive, and wanted to share this life-changing experience with the world. The way she would do this, was with her music. The longing that Regula Curti felt and experienced, inspired her to create a variety of projects, that uses music and recitation to transformative ends. This includes Beyond’s eponymous debut album, which featured Tina Turner, Regula Curti and Dechen Shak-Dagsay. When Beyond was released, it was blessed by the Dali Lama. After the success of Beyond, Tina Turner, Regula Curti and Dechen Shak-Dagsay returned in 2011 with their sophomore album Children Beyond. It continued to get across Beyond’s message, as did their third album Beyond ‘Love Within” when it was released in June 2014. This time three became four when Tina Turner, Regula Curti and Dechen Shak-Dagsay were joined by Sawani Shende who returned for the recording of Awakening Beyond in 2016. By then, Regula Curti had been exploring the link between music, healing, and spiritual change for many years. This is something she is passionate about, and has committed a lot of her time to. It’s a similar case to her other passion, the Beyond Foundation which Regula Curti cofounded with her husband Beat. The Beyond Foundation is their vehicle for promoting a more unified world, which is free from the dividing principles of culture, faith, and nation. Awakening Beyond is just the latest in of their efforts to increase dialogue, respect, and engagement via education and creative projects. To do this, Tina Turner was one of six women from America, India, Israel, Nepal, Switzerland and Syria, who arrived in London, England, in 2016, and made their way to Abbey Road Studio to record Awakening Beyond. This was the same studios that many a classic album had been recorded by the great and good of music. However, very few have enjoyed the longevity, commercial success and critical acclaim that Tina Turner has during a long and illustrious career. Joining Tina Turner and Regula Curti was Syrian-American composer Kareem Roustom, who composed the lush orchestral score that featured the London Philharmonic Orchestra. They were augmented by electronics and a myriad of traditional instruments from each region that the various vocalists represent. This included Syrian soprano Dima Orsho, Israeli singer-songwriter Mor Karbasi, Indian singer Sawani Shende Sathaye and Ani Choying who had travelled all the way from Nepal. They joined with Tina Turner and Regula Curti in adding heartfelt and impassioned vocals to the lush orchestral score. Just like Regula Curti, Tina Turner is passionate about the Beyond project, and their latest album Awakening Beyond, which essentially embraces disparate spiritual insights from America, India, Israel, Nepal, Switzerland and Syria. The six women involved in the Beyond project, may come from very different backgrounds and cultures, and have different believes, but the one thing that they had in common was music. They came together at Abbey Road Studio in London to create music that was uplifting, inspirational and meditative, and would help and support women as they meet the challenges, trials and tribulations of daily life head on. Hopefully, the music on Beyond’s fourth album Awakening Beyond will provide support, and inspire women all over the world to transform their lives and in the process, self actualise and reach their potential. That may seem far-fetched, but it’s what the six members of Beyond hope that the music on Awakening Beyond is capable of. It’s a carefully crafted and lovingly created album that features sixteen songs that flow seamlessly. This ranges from an Arabic plea to God for rain during a drought, to a lullaby whose roots are in Spain, but can be heard in Israel. Regula Curti also explains that: “for several of the tracks, we focused on Asia and turned to [Nepali singer] Ani Choying’s healing voice. Of course, I knew we needed an Indian voice because of the healing quality of mantras and invited Sawani [Shende Sathaye], who learned mantras and songs from her grandmother.”These songs, prayers, poems and mantras feature on Awakening Beyond, and are essentially healing and calming practices from the different cultures represented on the album. America, India, Israel, Nepal, Switzerland and Syria respectively, came together to record an album. 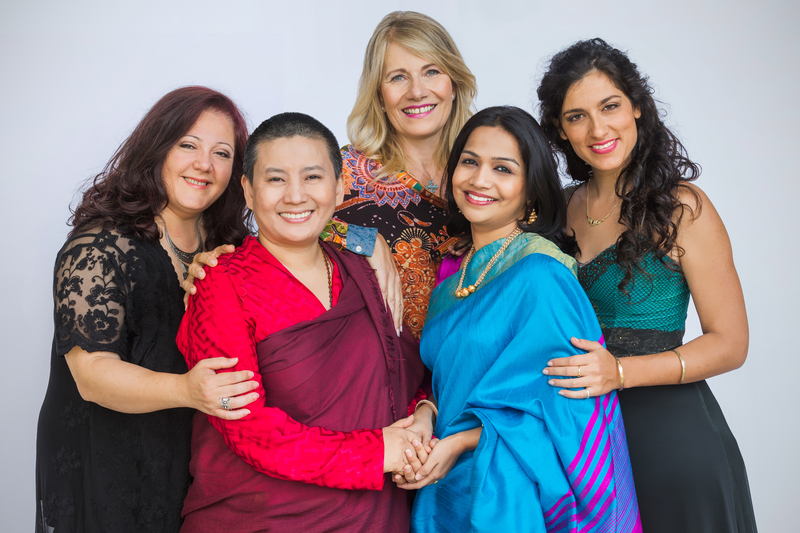 They were united in their pursuit of a common goal, and became Beyond when they recorded Awakening Beyond, which is an uplifting, inspirational and meditative album of mantras, poems, prayers and songs from six different countries that seamlessly flows and showcases the talents of six women from very different backgrounds. Blessed by the Dali Lama! Wow! No doubt – music is a force. Music heals. Music can make you feel like living when you feel like dying. May we all give more and hoard less. Music included.